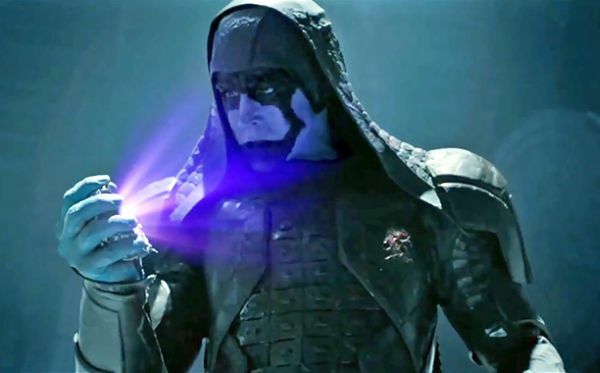 Plot: In the far reaches of space, an American pilot named Peter Quill finds himself the object of a manhunt after stealing an orb coveted by the villainous Ronan. 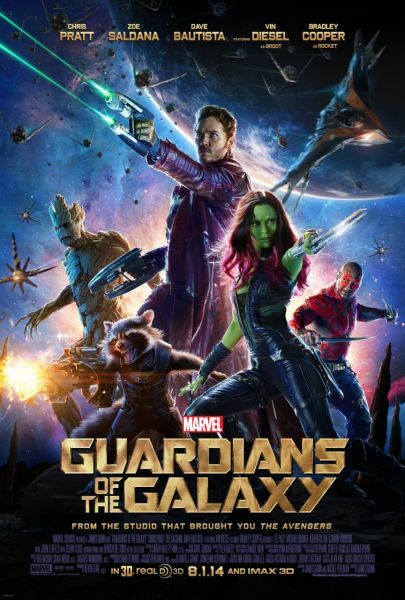 To help fight Ronan and his team and save the galaxy from his power, Quill creates a team known as the 'Guardians of the Galaxy' to save the world. Taglines: When things get bad, they'll do their worst. I have read many reviews of this movie and I have never seen a bad one. One reviewer said that this is the best Marvel comic movie ever made and I heartily agree. To tell the truth, I didn't know what to expect when Suzanne and I went to see the movie but since the theater was crowded, I figured it might be pretty good. Pretty good doesn't quite get it. GUARDIANS OF THE GALAXY is fantastic! It's the first movie that Suzanne has seen where the audience applauds at the end. The Disney people have created a fast moving 2 hour entertainment spectacle and when the movie ends, you just can't wait for the sequel. Oh yeah! Expect a sequel, maybe more than one. Starlord and his crew of heroes are too good to disappear into the celluloid graveyard. The plot moves along, keeping you on the edge of your seat and no matter how badly you might have to go to the bathroom during it, I guarantee that you won't move! The special effects and CGI are fantastic. The 1970s and 1980s musical soundtrack is spot on as you can hear from the Jackson 5's, WANT YOU BACK, playing behind this review. The acting and directing are top notch. 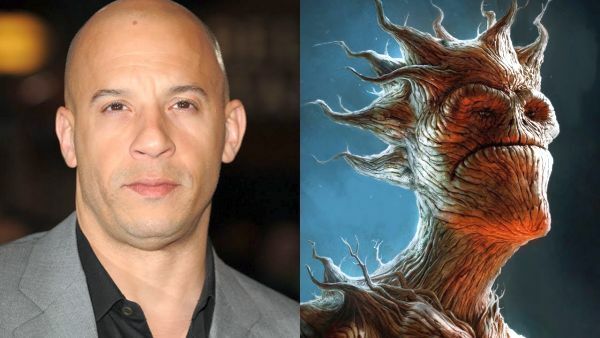 Vin Diesel as Groot, the walking tree. 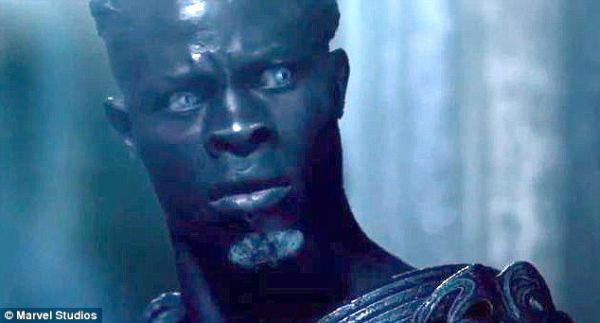 Diesel has come a long way from the Riddick trilogy. SPOLIER ALERT - Diesel's character becomes the pivotal one in the exciting denoument of the film. John C. Reilly as Corpsman Dey. To see John is to love him from his memorable roles in wacky comedy as well as from his more serious one in GANGS OF NEW YORK. 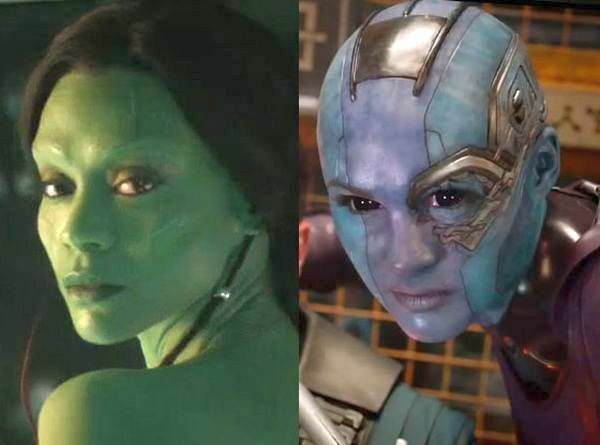 Zoe Saldana	as Gamora is as beautiful as ever, even painted blue. Chris Pratt	as the outstanding hero, Peter Quill [Starlord], holds your attention as he keeps getting into and out of perilous situations. 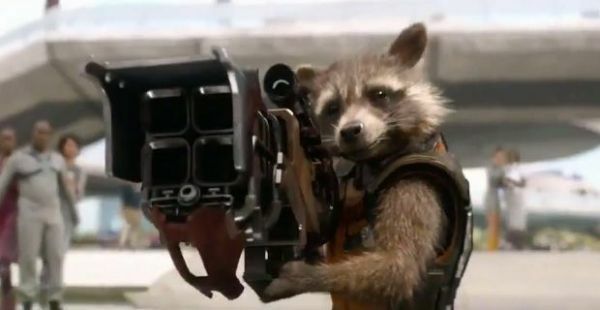 Bradley Cooper as the wacky but sweet racoon, Rocket, is nothing short of dynamic. 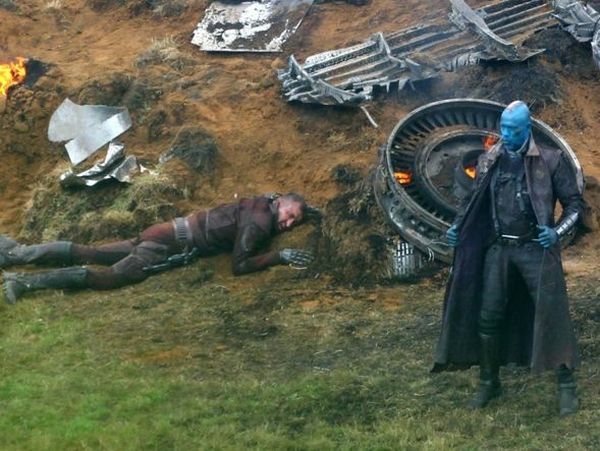 Michael Rooker as	Yondu Udonta. Oh how can you not love seeing THE WALKING DEAD's Merl show up as villainous as ever. Great choice of casting. Glenn Close	as Nova Prime. Short but great performance. We expect no less from this magnificent star. Benicio Del Toro	as The Collector. Since seeing him in THE USUAL SUSPECTS, I cannot get enough of him. Suzanne says he reminds her of the late James Dean. I advise you to stay in your seat for the mesmerizing end-credits scene. It's a great capper for an already fabulous movie. Safe for children as the Disney Company keeps the language and the love-making within family values bounds. See it. You'll like it. No, you'll love it. Look for the merchandise this Christmas, especially the dancing baby Groot featured above. 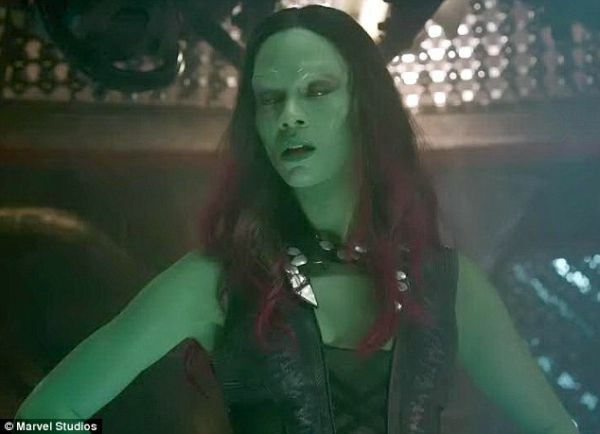 Zoe Saldana nearly broke Chris Pratt's ribs while filming a fight sequence. During training, Pratt and Saldana would wear protective gear so that they could actually hit each other. 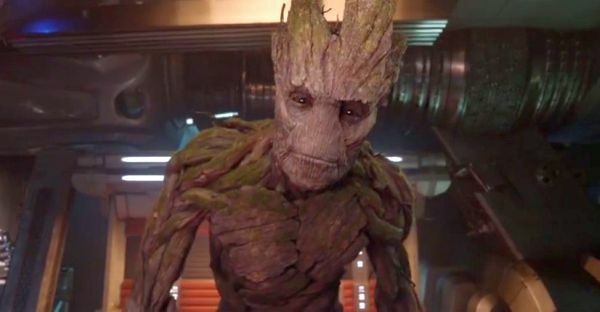 However, when the day came to film the actual scene, Pratt forgot to wear his protective gear and did not tell Saldana because he thought she would hold back if she knew. Saldana (under the impression that he was wearing the gear like he usually did) kicked him square in the ribs, which made Pratt fall to the ground. According to him, he had a bruise for the remainder of filming. When Quill dives thru the air to catch the Infinity Stone, he's reaching for it with his right hand, but then, as it starts to transform him, it's clutched in his left. An order is given to evacuate the city when the attack begins late in the film. Yet several minutes later, the main square of the city is still heavily populated. It seems unlikely that, in these several minutes passing, no one would have gotten farther than this. In one scene, Nova Prime's hair style changes between shots. 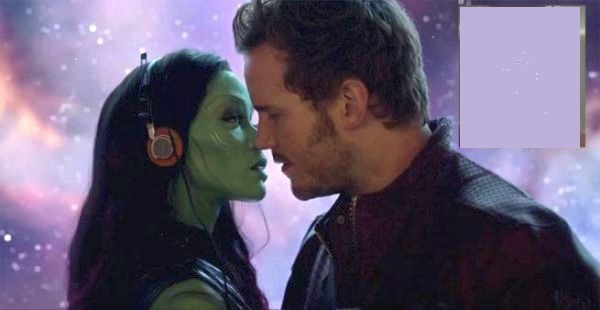 There is a scene where Star Lord puts his headphones onto Gamora's head and his cassette player is put back onto his own belt. Upon seeing a fight break out between their teammates Star Lord walk off toward the disturbance. Neither character react to the cord that is attached between them. As Star Lord is entering the temple to steal the orb he grabs and picks up one of the rat creatures. In the close up shot that follows he uses the rat as a microphone. In the next long shot he has no rat, next close up shot the rat is back. This repeats again. When Gamora is floating in space, and Star Lord flies out to give her the helmet. Shortly after, Yondu brings them onto the ship, Gamora and the Star Lord don't have the helmet. The mom is seen in a hospital bed with no hair or eye brows as one would expect when given chemo therapy. However, the actress' eye lashes are clearly visible and they would have fallen along with all of the other hair. "Rhomann Dey: Peter Jason Quill. 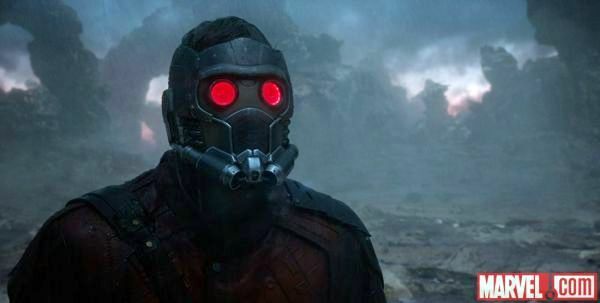 He's also known as Star-Lord." "Nova Corps Officer: Who calls him that?" "Rhomann Dey: Himself, mostly. Wanted mostly on charges of minor assault, public intoxication and fraud." "[Quill winds up his finger and flips the bird at the screen which reads: OBSCENE GESTURE ALERT]"
"Peter Quill: Oh, I'm sorry. I don't know how this machine works." 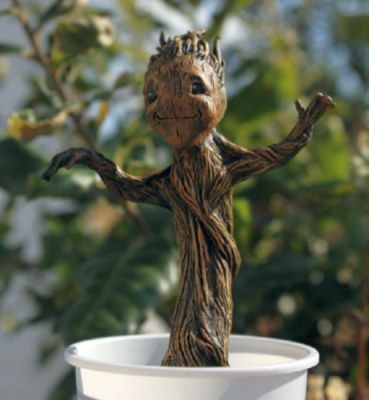 Just after the movie ends, before the full credits roll, there's a scene portraying little reborn Groot dancing in its pot to music from Peter's mix-tape. No raccoons or tree creatures were harmed during the making of this film. 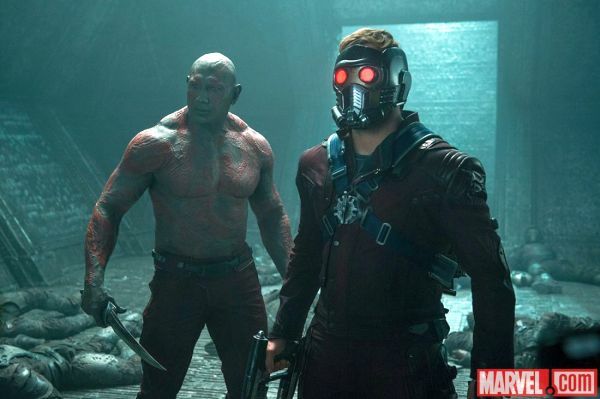 The message, "The Guardians of the Galaxy will return" appears at the beginning of the end credits. The opening titles are shown in-movie on a 80's style. The production logo does not appear until after the first scene. Q: Who are the Guardians of the Galaxy? Q: What is the Nova Corps? Q: Who will be the Villain(s)? Q: What's the obsession with Peter Quill and his cassette player? Q: What song is played in the trailer? Q: Where is Stan Lee's cameo in this movie? Stan Lee is seen on the planet Xandar. Rocket spots him with a younger woman and berates him for cheating on his wife. He laughs and calls him a Pervert.